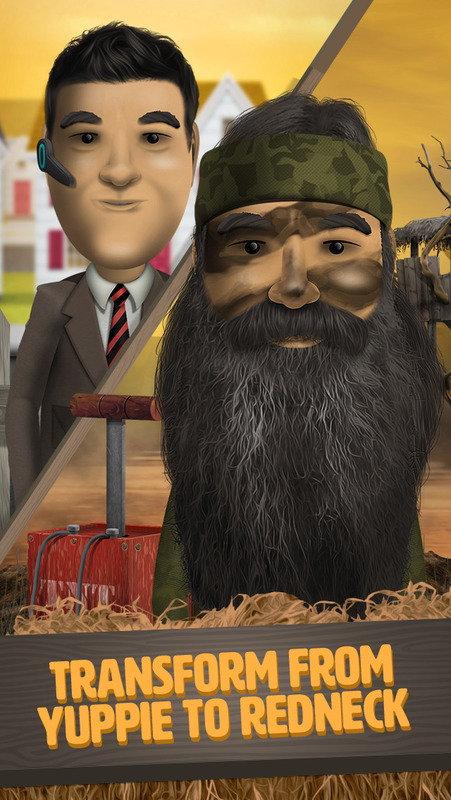 The official mobile game of America’s #1 reality television series, Duck Dynasty ®, is now available to play for free! Battle of the Beards® tests your reflexes and drops you “boots-first” into the Louisiana backwoods to compete in the Robertson family’s favorite redneck activities. 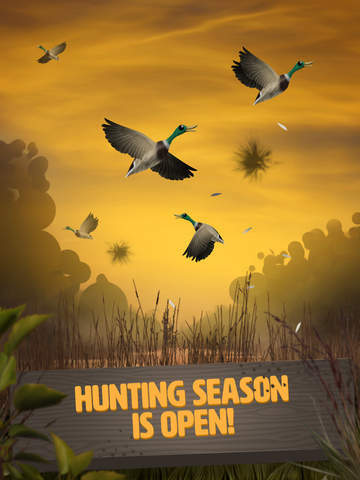 Master rapid-fire challenges, unlocking gear and earning experience along the way, to prove you’ve got what it takes to grow a beard as long as your favorite Duckmen. As you play, your character will go from a Bluetooth-earpiece-wearing, clean-shaven businessman, to a fully camouflaged, long-haired, bandana-clad backwoodsman with a beard that would even make Phil jealous. 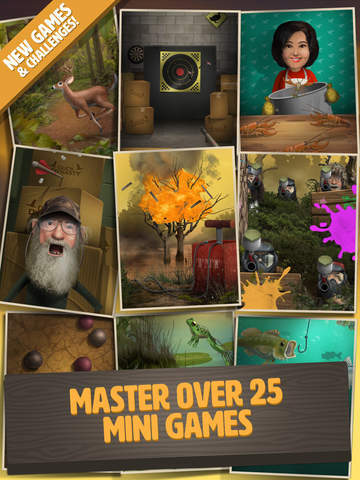 • Exciting game play based on memorable moments from Duck Dynasty®. • Hunt ducks & frogs, eat chilies, blow up beaver dams and more. • 20+ highly-repeatable, addicting mini-games. 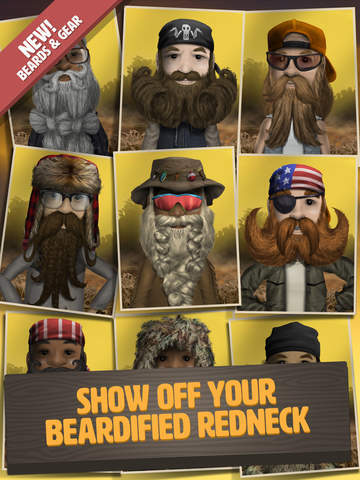 • Create your very own customizable redneck character. • Level up, grow your beard and unlock manly gear. • Stylize your own redneck character with accessories from the Redneck Gear shop. • With over 100 items and attributes in the Redneck store to choose from, thousands of unique character combinations exist. • Snap photos of your character and share them with friends on Facebook! • Listen to your favorite quotes from the acclaimed series. Hey, Jack! We upgraded! 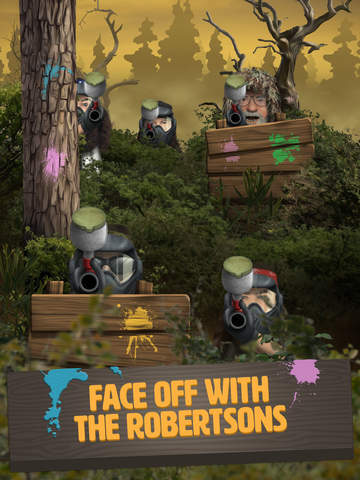 Experience the fun and fast-paced challenge of the original Battle of the Beards® game in a whole new way! • Introducing Si’s Iced Tea power-up. Use it to “freeze” time to make it through those extra difficult challenges. • The all-new progress map shows you and your Facebook friends’ journey from the Yuppie sub-division to the Robertson’s stomping grounds of West Monroe. • Connect and compete with your Facebook friends. • Choose from all new custom environments for your guy. • Successfully complete challenges to earn XP points and raise your level. Booyah! • Introducing Si’s Iced Tea power-up. Use it to "freeze" time to make it through those extra difficult challenges. © 2015 A&E Television Networks, LLC. All rights reserved. Duck Dynasty, A&E and A+E Networks are trademarks of A&E Television Networks, LLC. Frasi per WhatsApp PRO 80s Arcade Games!